We are providing an opportunity to challenge a select number of athletes to raise the bar as they commit to raising awareness and funds for NeighborLink Fort Wayne and NeighborLink Indianapolis. 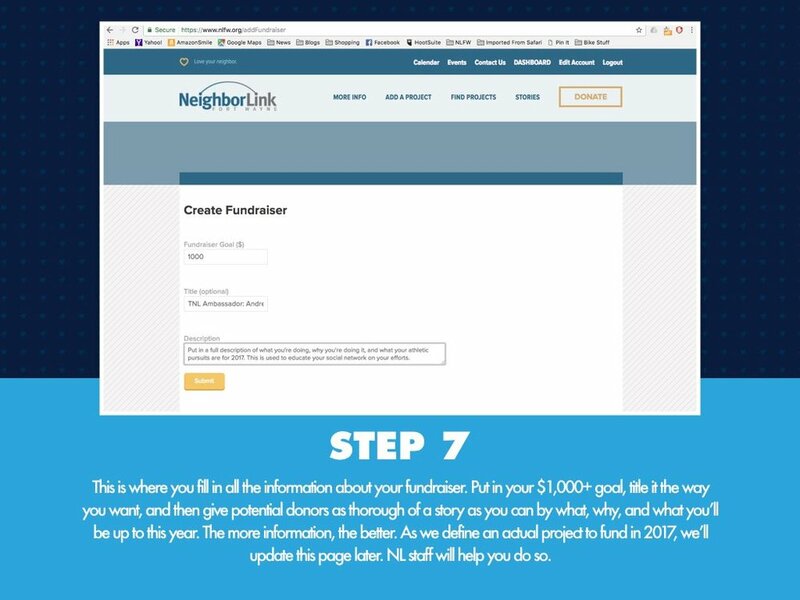 Our goal for the Team NeighborLink Ambassadors in 2018 is to raise $25,000 to help put on roofs, buy water heaters, lumber, paint, and whatever other building materials NLFW volunteers need to complete the projects they take on for senior citizens, people with disabilities, and people struck by life's circumstances who can't afford to repair their home. Our overall goal through merchandise sales, donations, and sponsorships is $40,000. Ambassadors are runners, cyclists, CrossFitters, triathletes, and anyone else willing to use athletics as a way to join in our mission. 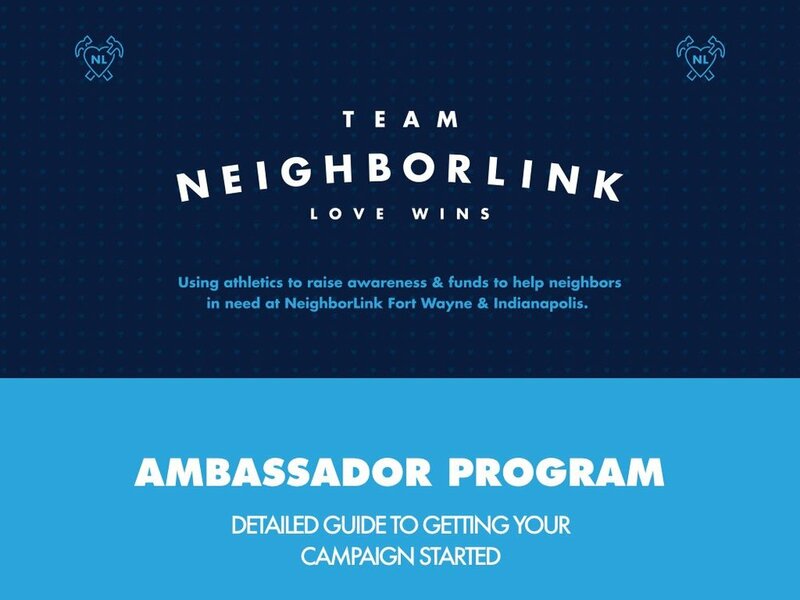 Below is everything you need to know in order to become a Team NeighborLink Ambassador. Our Ambassadors are completely bought into the mission of NeighborLink and are either motivated by their faith to "love their neighbor," or their belief that being a good neighbor to those facing life's circumstances is the best way to live. Our Ambassadors love to compete, build community, and find ways to serve others before, during, or after the events we participate in. Each Ambassador that makes a commitment to raise a minimum of $1,000 throughout 2018 will receive an athlete "budget" that the can use to purchase gear or cover event expenses needed to train, compete, and represent us throughout the year as well as the expanded benefits we receive from sponsors along the way. 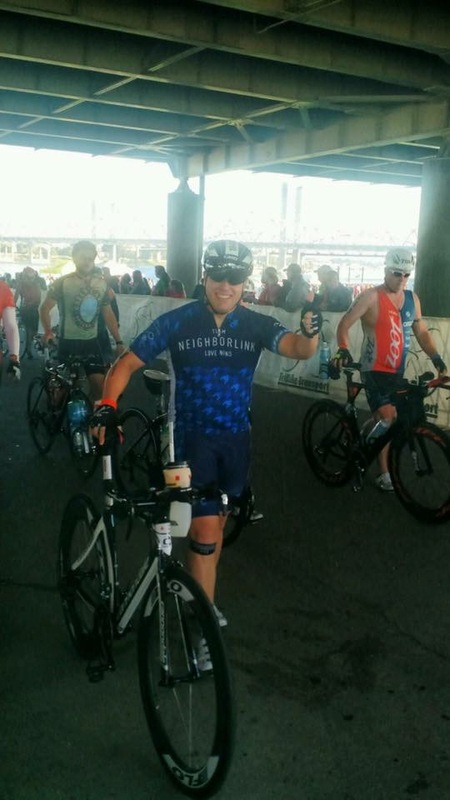 Team NL will support your efforts the best we can by being present at your races with a tent, equipping you with the resources you need to tell the NeighborLink story well, and helping in your fundraising efforts. We anticipate being at over 25 events in 2018 and will do our best to get as many of our Ambassadors together as often as we can. If you would like to join us in this challenge to raise $25,000 for NLFW & NLIndy in 2018, please contact us and let's get started. It's going to be a great year! 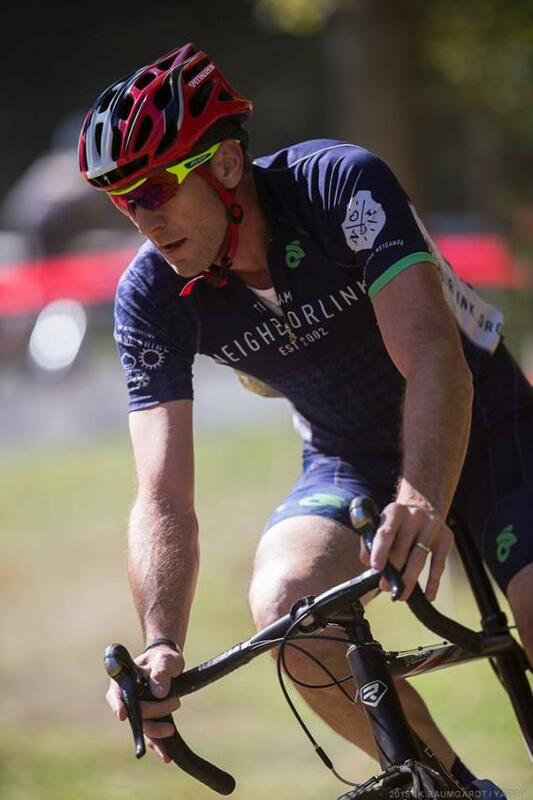 In the fall of 2016, a group of Team NL cyclists sett out to raise $6000 to fund 3 furnace projects by racing their cyclocross bikes throughout the fall months in Indiana, Ohio, and Kentucky. Their goal grew to $8,000 as the team grew. They met the $8,000 goal and funded 5 complete furnace replacements as well as repaired 13 others. Visit their fundraising page on NLFW.org to learn more about who they helped. 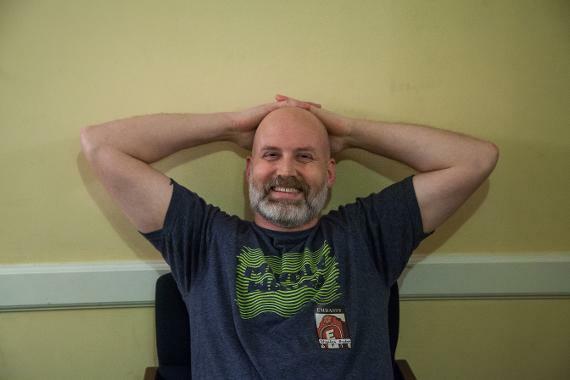 My name is Ben Steele and I'm a resident in an older, community-minded neighborhood where my family and I love living, getting to know our neighbors, and spending as much time as possible. I'm also a runner, triathlete, and cyclist, and athletics is an important part of my families lives. In an attempt to challenge myself and my community of friends and family, I have set a goal to run 1300 miles in 2016. 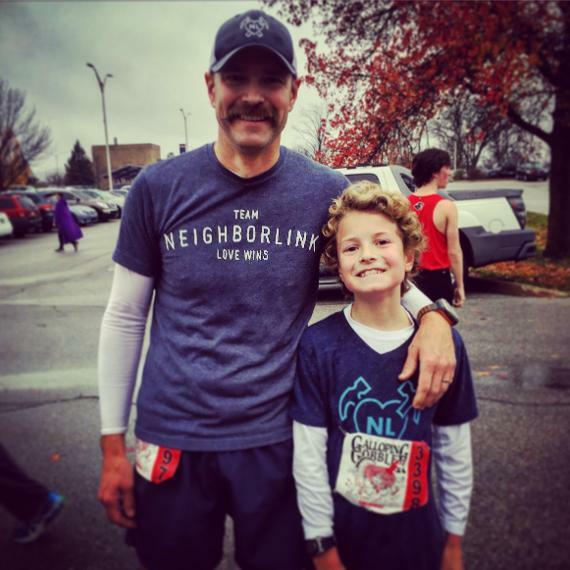 My motivation is to raise $1 per mile to help my neighbors in need through NeighborLink. Ben succeeded at his $1300 goal and helped this homeowner here. 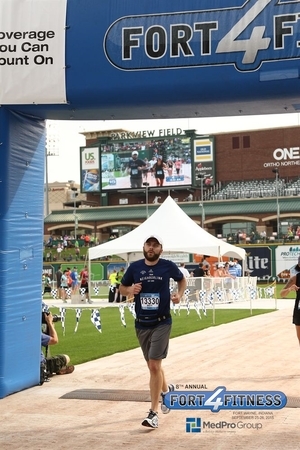 Michelle got back into running in 2015 with the commitment to run the 2015 500 Festival Indianapolis Mini-Marathon after taking a several year break due to raising three young kids, including twin boys. Michelle has been a runner most of her life, been a long-time supporter of Team NeighborLink and has been involved in dozens of NL projects. She's also married to the Executive Director of NeighborLink Fort Wayne. Her and her brother-in-law, Austin, joined forces and raised $2,025. That funding went to putting on a roof for a guy named Wayde, which you can read the story of that project here. 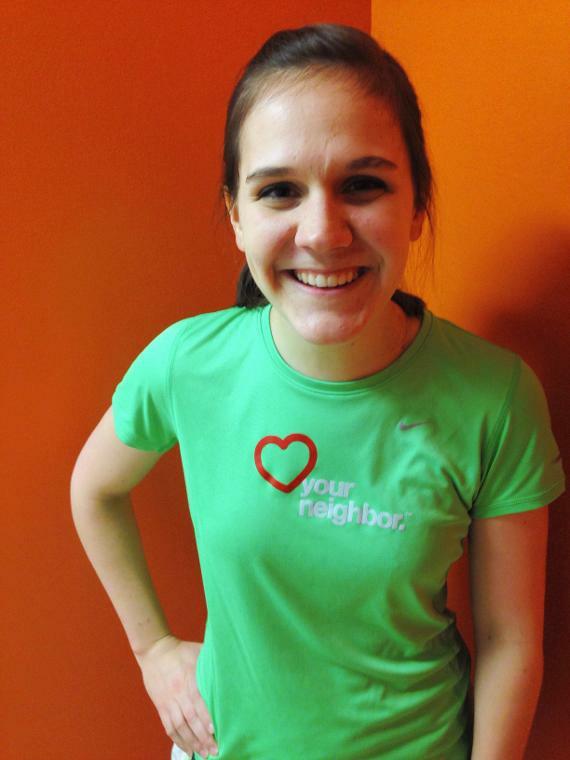 Beth Hicks is a runner and a former NeighborLink Fort Wayne intern. She loved learning about and working with NeighborLink during the summer of 2013, and decided to run the Indy Mini Marathon on May 2nd last year to raise money for NL. She's been running for about 4 years now, and this was her second half marathon. Beth helped raise over $3,300 for NeighborLink at the Indy Mini combined with Michelle and Austin's fundraising campaigns. That funding went to putting on a roof for a guy named Wayde, which you can read the story of that project here. 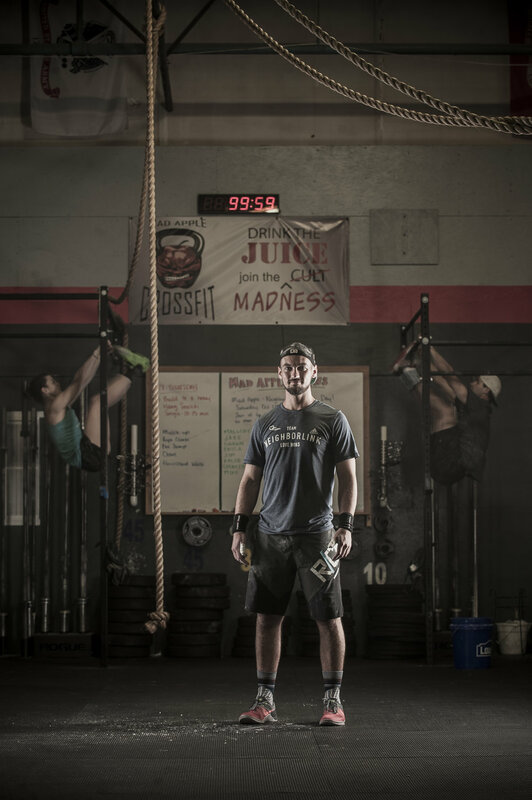 Shawn, Molly, Jake, and Ben are some of the fittest folks we know. Shawn, Molly, and Jake are all CrossFit enthusiasts who work out regularly at Mad Apple CrossFit and towards the end of 2015, decided they wanted to tackle the Huff 50K winter trail race in an effort to raise the $2100 needed to fund a new furnace for a neighbor named Elizabeth. They were successful in raising the money and completing the Huff 50k in 5th place in the team relay category. Jake was unable to run due to an injury, but Ben was able to step in and help run his leg, which is another reason why this team is so great. A full recap of the impact they had on Elizabeth can be read here. Here at Team NeighborLink, we are committed to using athletics to accomplish something greater. 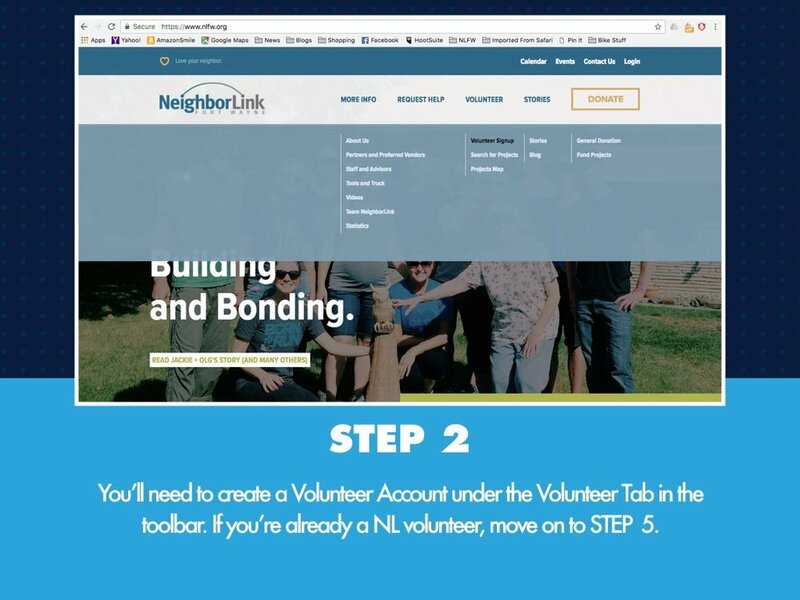 With the proceeds from the Night Moves series, the Great 80, Team NeighborLink Gear sales, and our Ambassadors, NeighborLink Fort Wayne is able to purchase materials needed to complete many volunteer projects that lend a helping hand to vulnerable homeowners in our community. Below are some stories about the impact of Team NeighborLink. In the fall of 2015, two of our Night Moves running events generated $1,300 that went towards furnace projects. One of the recipients was a single-mother named Maria. Her furnace was 30 years old and no longer worked. After $500 of the Night Moves proceeds were dedicated to this project, the Warm Maria Up campaign raised the remaining $1,700 needed to replace the furnace. The day after the funds were raised, there was someone on site installing it for Maria and her family so they could have heat for the winter. Due to the cold weather in NE Indiana, many vulnerable homeowners contact NeighborLink Fort Wayne with furnace issues each year. They are unable to afford the cost of a replacement and end up heating their homes in other costly and potentially dangerous ways. 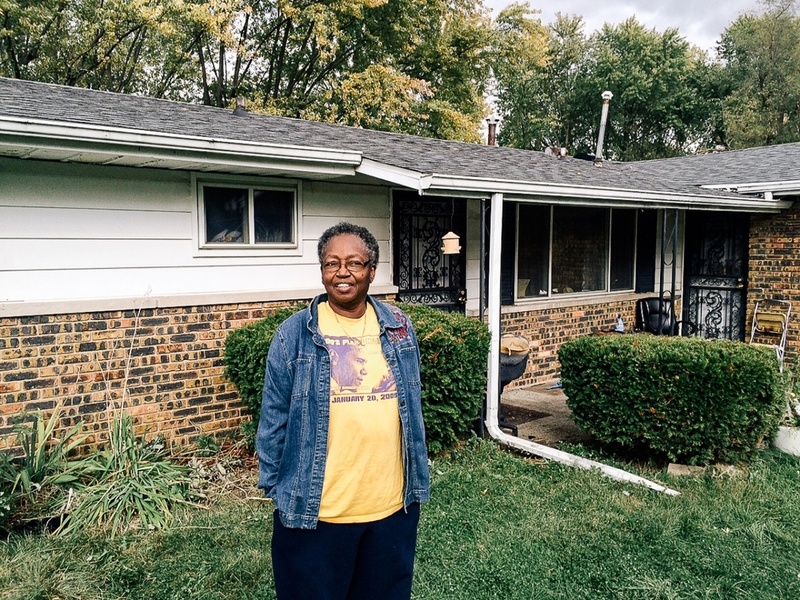 One of these homeowners is Elizabeth, a senior citizen with a fixed income. She needed her furnace replaced due to a cracked heat exchanger that posed a carbon monoxide threat to her and anyone else in her house. In response, three Team NeighborLink athletes, Shawn, Jake, and Molly decided to add a layer of meaning to their Huff 50k trail run to by creating a $1000 fundraiser to help put a furnace in Elizabeth’s house. The Keep Elizabeth Warm Campaign ended up raising over $2,100 and covered the costs to replace Elizabeth’s furnace. 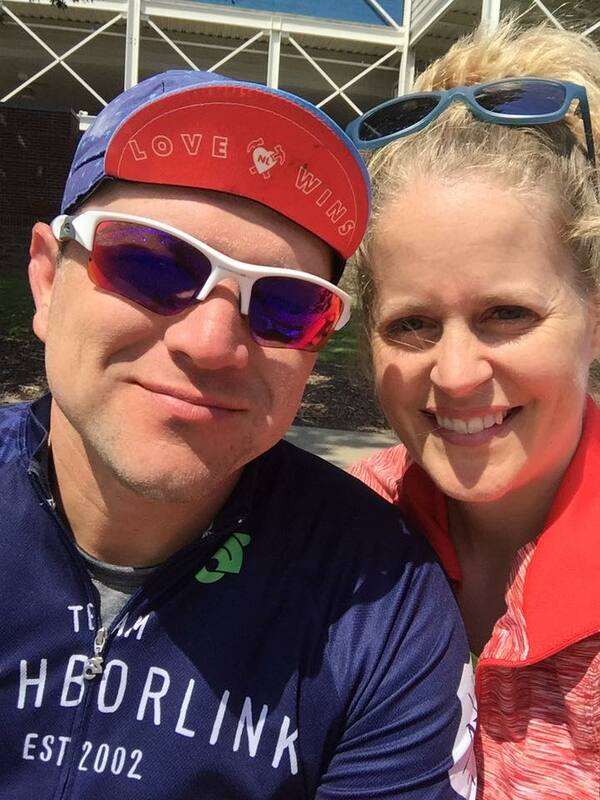 In the fall of 2015, two Team NeighborLink runners, Brett Meyer and Lily Fengolio, both decided that they wanted to raise money in addition to run a half-marathon this fall to help a neighbor in need get a new roof. Over 33 donors gave an average of $88 in support of Brett and Lily, and ultimately Esther, who was the recipient of this generosity. Not only did Brett raise $2000 of the $2750 that was needed, he also coached the project and spent two days working with over two-dozen volunteers to complete the roof. In July of 2015, a group of students and adult leaders took on a roofing project for our neighbor John, a senior citizen living on a fixed income. In an attempt to get his roof replaced, he ran short on finances and needed some help covering the additional expenses and getting the job done. The combination of the proceeds from the 2015 Night Moves series, the Great 80, and merchandise sales covered the expenses related to purchasing the materials. Our funds raised totaled to about $2,000 and were able to offset costs and get John the roof he needed. Team NeighborLink Ambassadors, Michelle Hoffman, Austin Kirchhoff, and Beth Hicks represented Team NeighborLink in the Indianapolis Half Marathon on Saturday, May 2, 2015. They committed to raising $1,800 to go to the replacement of a roof for a NeighborLink Fort Wayne recipient. By the time of the race, they raised $1,000 each with a total fundraising total of $3,150. Our roof recipient, Wayde, was a pipe foreman for a construction company until he suffered a brain aneurism and stroke back in December of 2009, which left him disabled and wheelchair bound. Wayde lives in a trailer that had a leaky rough that desperately needed replaced. NeighborLink partnered with Wayde and his family to supply the materials and supervise the roof replacement.